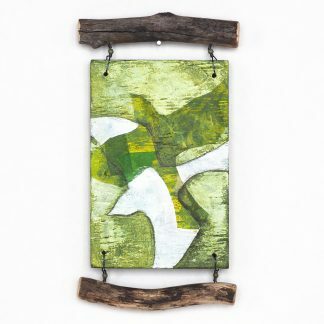 Small rustic mixed media wall hanging. 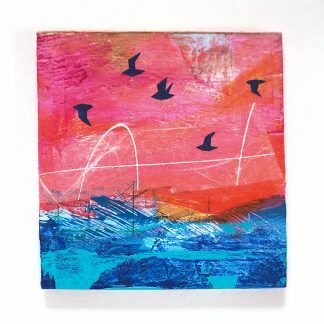 Three reclaimed plywood panels feature an abstract design with three ravens. The panels are combined with found natural aspen branches and laced together with antique brass finish wire. The back is also painted. Total height is approximately 12″ (30.5 cm), width is approximately 5 1/4″ (13.3 cm).